It's funny how the best ideas are often the simplest ones. That's certainly the case for We Give Books, a collaborative effort between the Penguin Group and the Pearson Foundation. Since the former is in the business of selling books, it knows buzz is important when it comes to sustaining itself. And what better way to create buzz than by promoting a spirit of giving while simulataneously encouraging kids to read? At the heart of it, We Give Books is a user-friendly website that allows visitors to create a free account in seconds and then search for books by age range, genre, author or popularity. When a child reads a book for free online while logged into his or her account, We Give Books makes good on its name and donates a book in kind to a child in need. As 2012 draws to a close, the special project of the moment gives hardback books to young victims in Sandy's wake. The program takes on different projects as time goes by, focusing on various areas that need literary assistance. We know that knowledge is power, and the empowering effect of books is immeasurable. Imagine the message we send our kids when we explain to them that by reading, they're not just expanding their own horizons; they're helping others expand theirs as well. That's a storyline we'll never get tired of hearing. 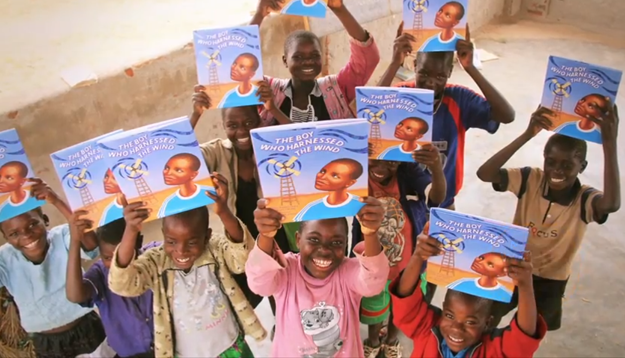 A partnership between the Penguin Group and the Pearson Foundation, We Give Books is a digital initiative enabling anyone with access to the web to put books in the hands of children who don't have them, simply by reading online. It combines the joy of reading with the power of helping others, providing a platform for caregivers and educators to inspire children to become lifelong readers and lifelong givers. The initiative also helps some of the world's most inspiring literary organizations by spreading the word about their work. At the time of this story's posting, We Give Books had donated 1,374,356 books to those in need.